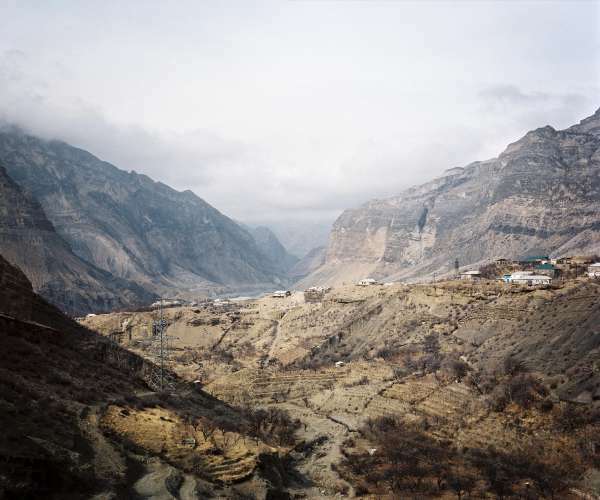 Khava Gaisanova lives in Chermen, a village in the heart of the North Caucasus on the other side of the mountains from Sochi, Russia. 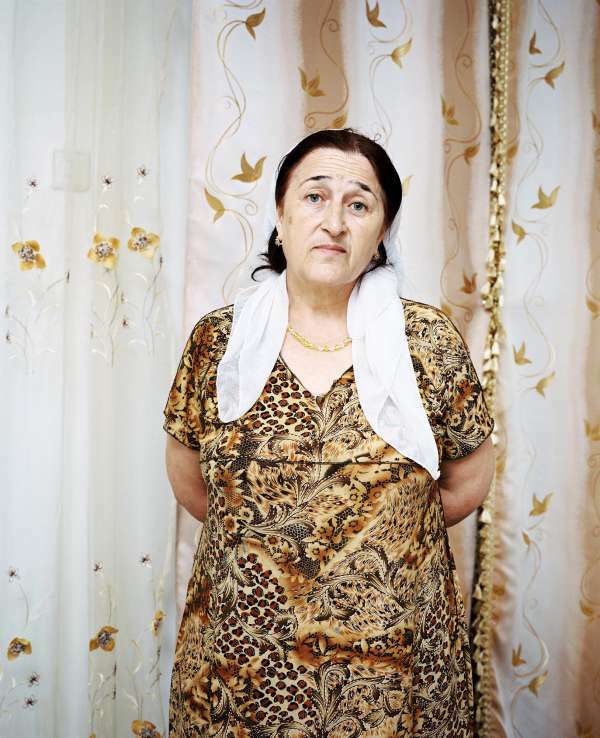 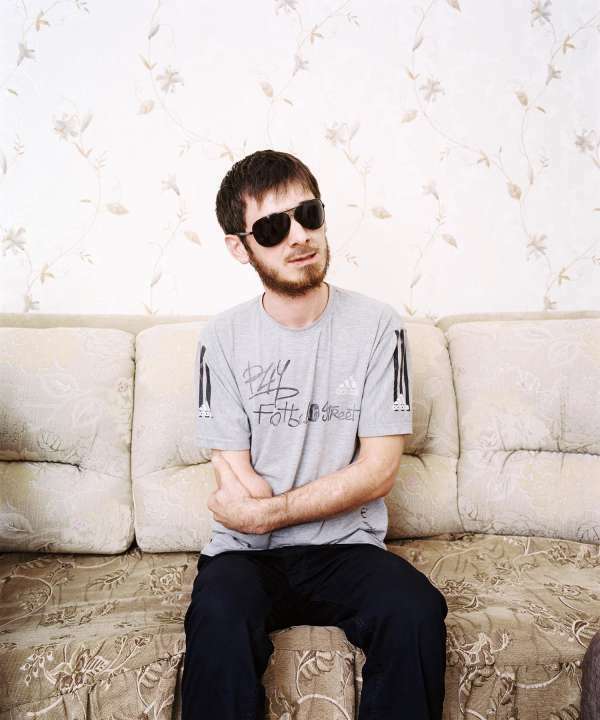 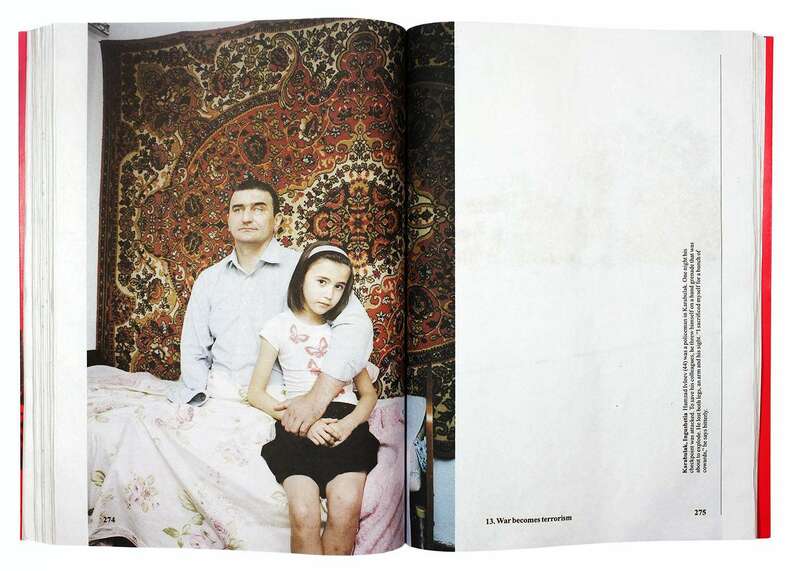 In 2007 her husband Mukhazhir disappeared, like so many men in the North Caucasus disappear without a trace – kidnapped, arrested or simply executed and buried in anonymous graves. 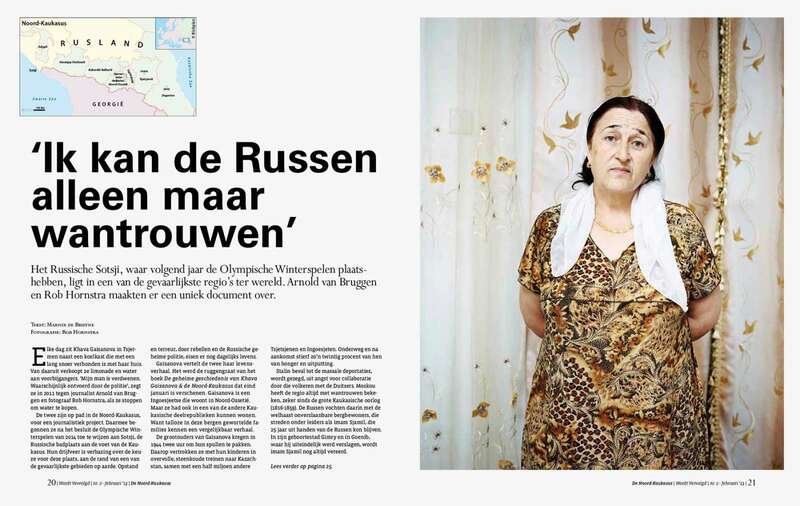 So many elements of the region seemed to come together in Khava’s life story that we decided to use it as the basis for our project. 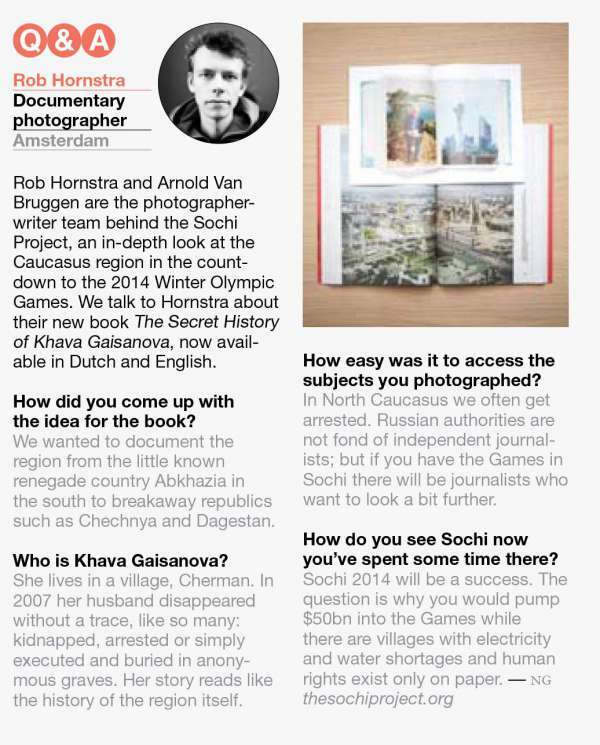 In The Secret History of Khava Gaisanova, a grim picture unfolds of the region hosting the 2014 Winter Olympics. 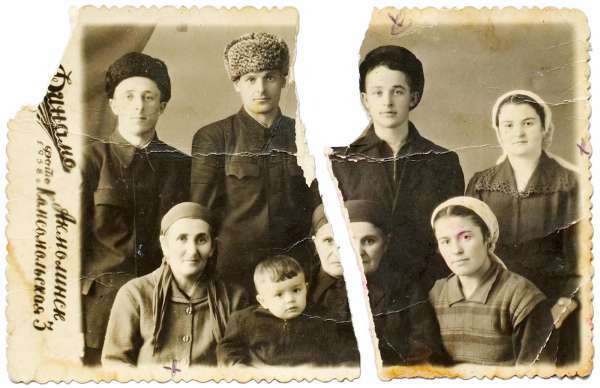 Khava Gaisanova’s parents were exiled by Stalin from Bazurkina, Ingushetia, in 1944. 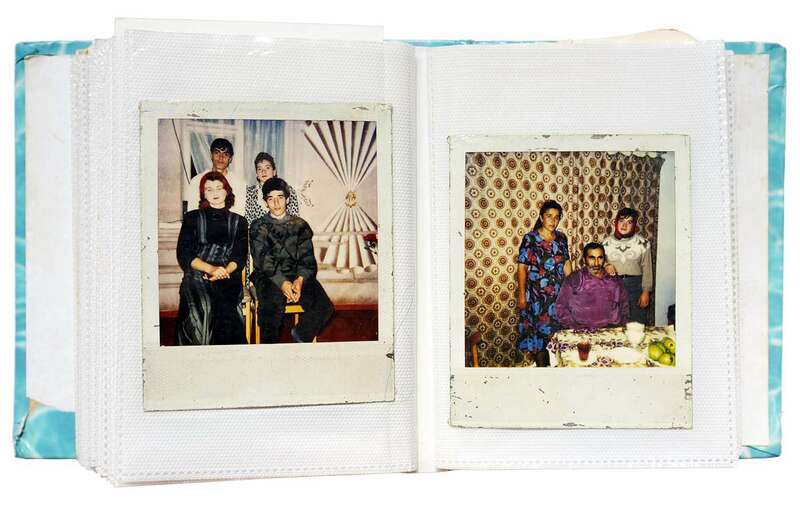 Family photo from 1958, Astana, Kazakhstan. 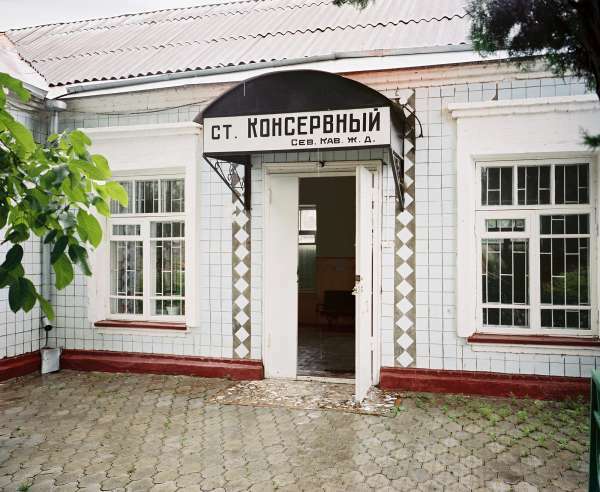 The main event nowadays is the Moscow-Grozny train, which stops here twice a week. 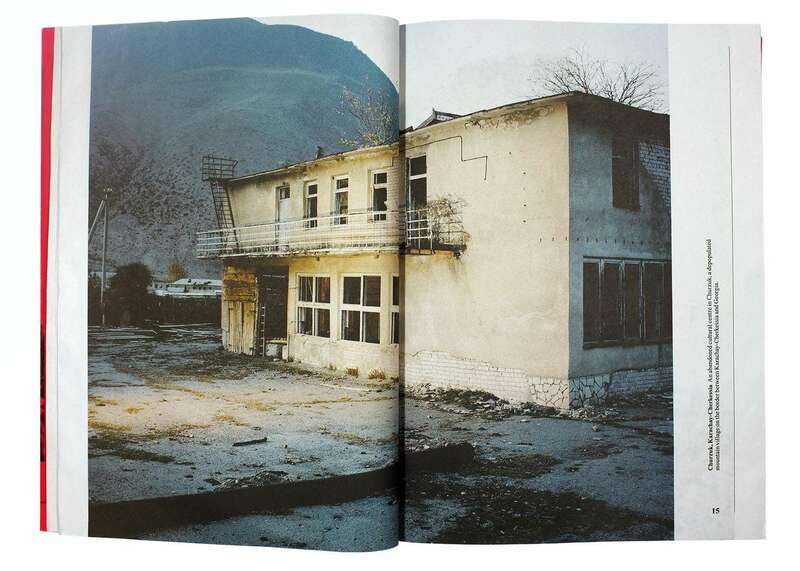 When Khava returned in 1975, the village was renamed Chermen, North Ossetia. 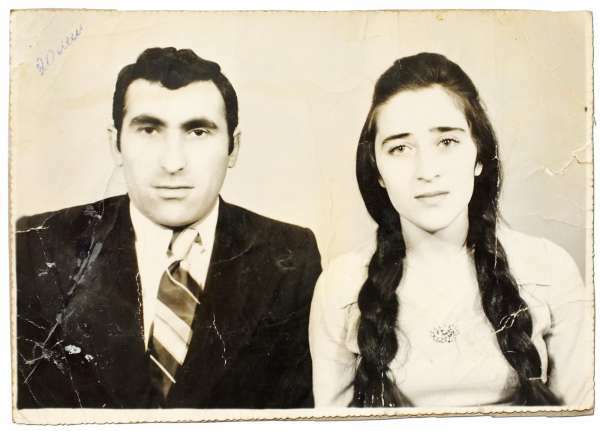 Khava and her husband Mukhazhir in Chermen, 1970s. 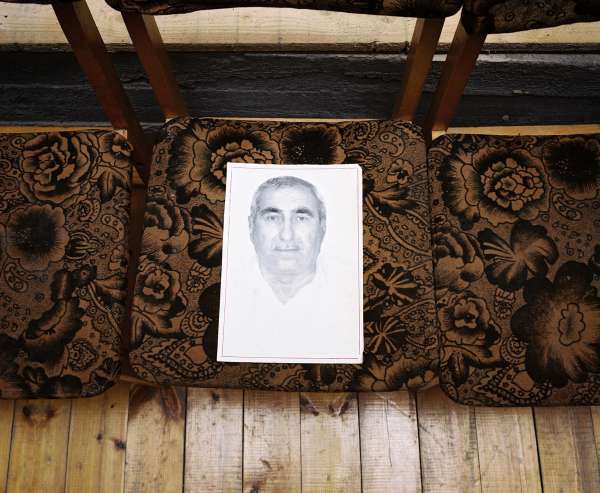 Policeman Aliskhan was blown up by insurgents while having lunch in a restaurant. 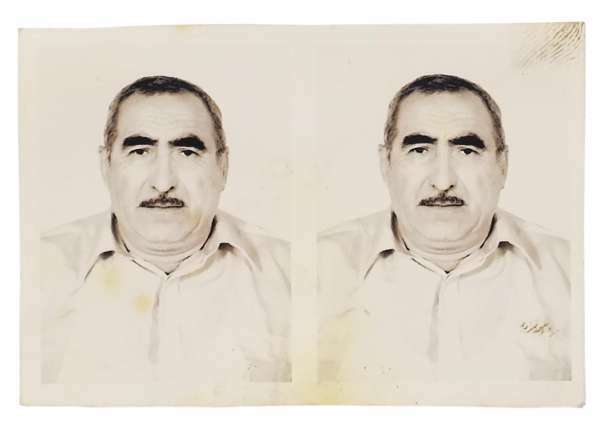 Recent passport photo from Mukhazhir. 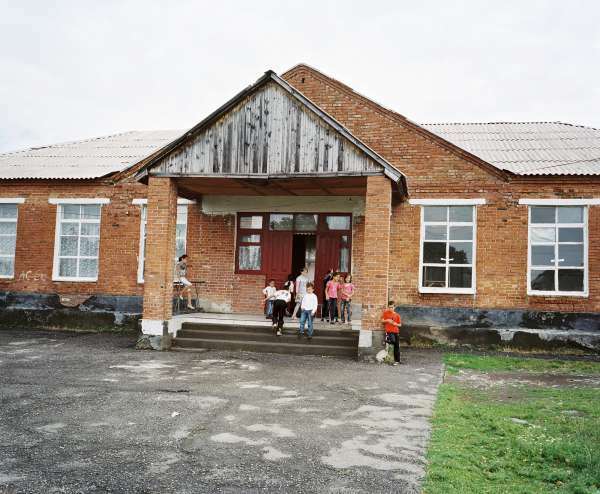 The school in Chermen where Khava is a teacher. 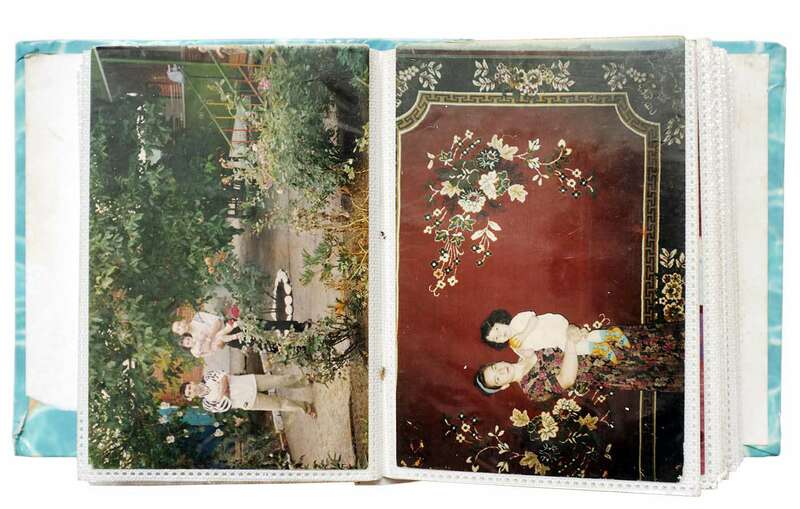 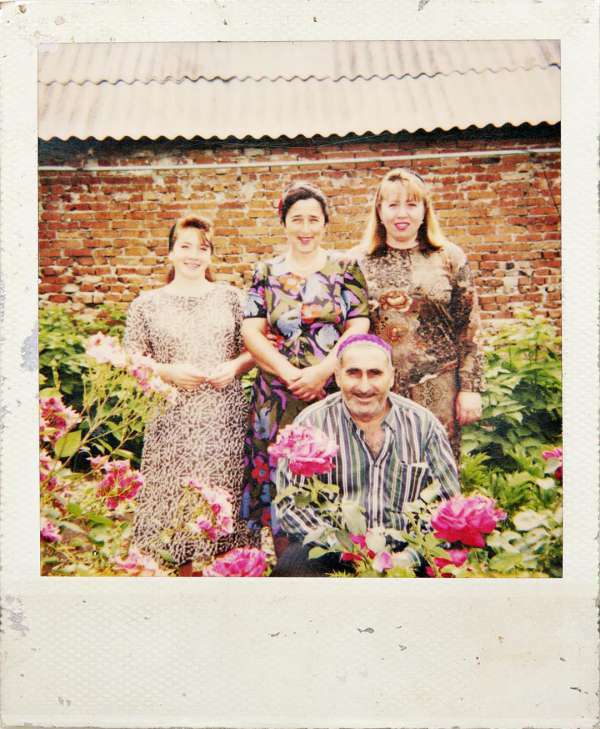 Polaroid of Khava with Mukhazhir, daughter-in-law and friend in her garden. 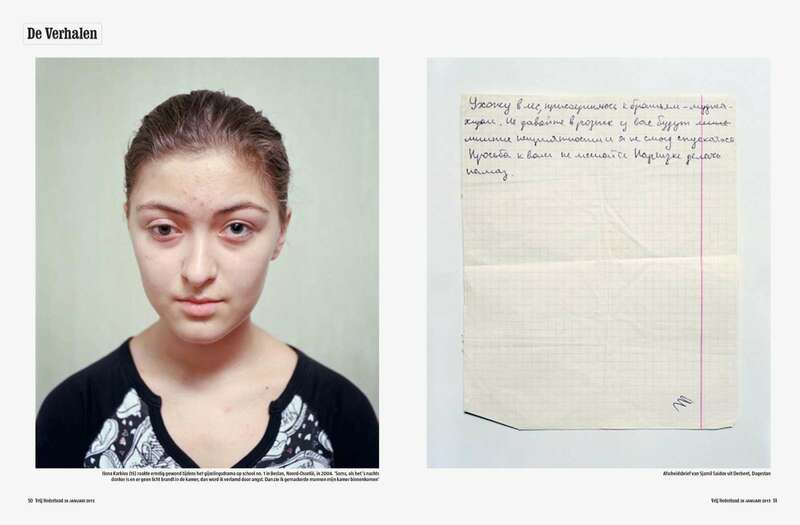 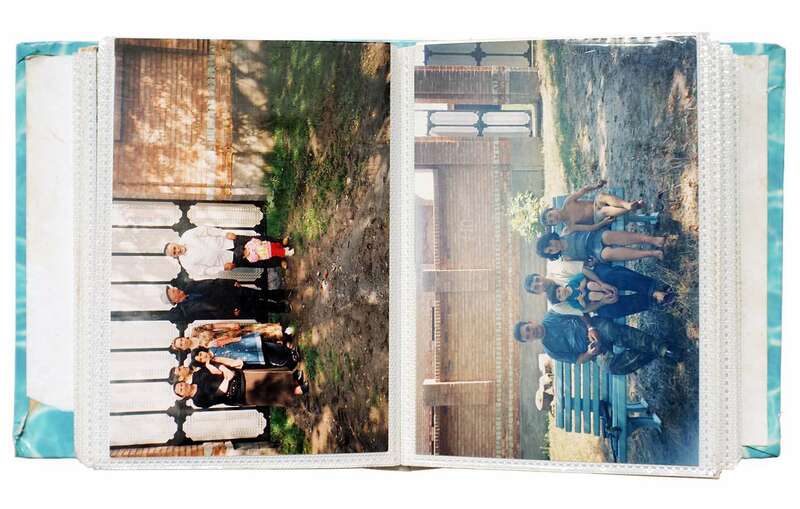 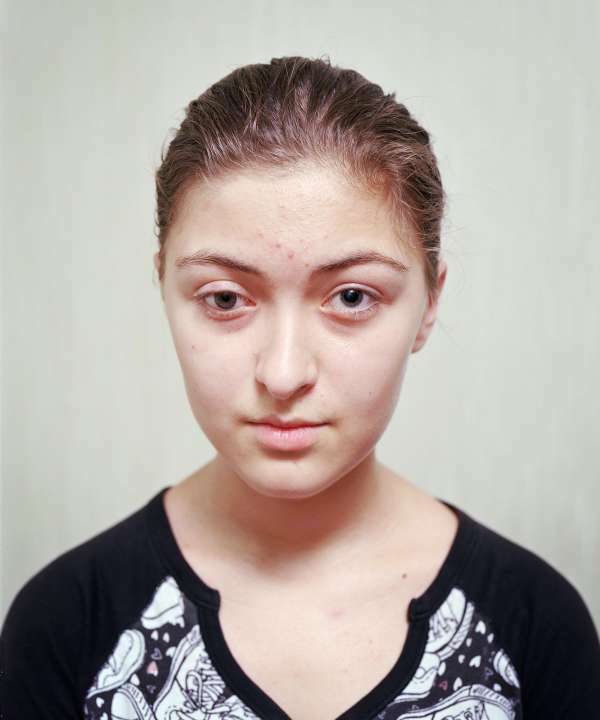 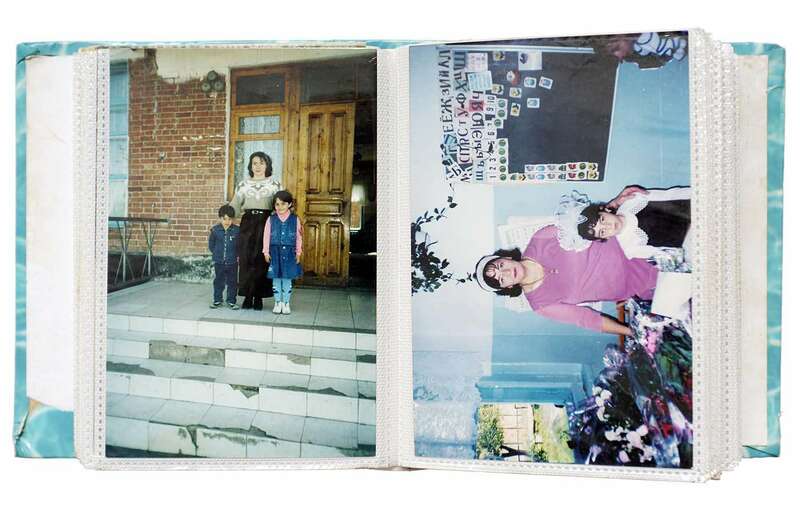 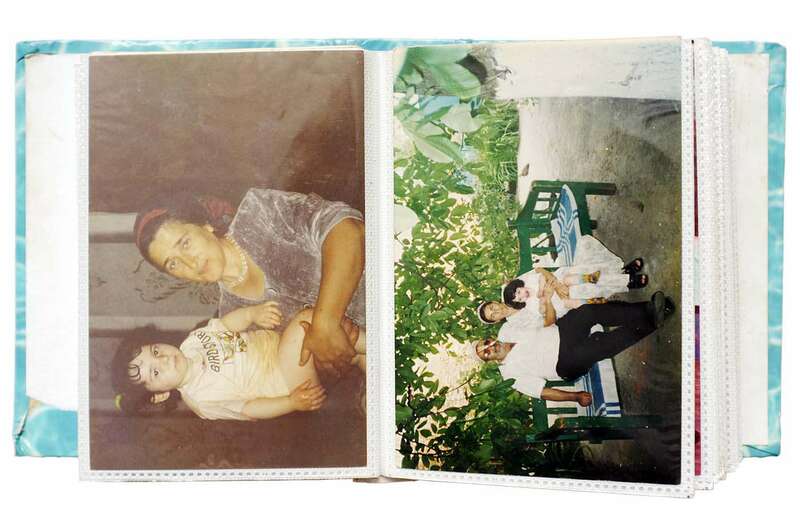 Ilona Karkiva ( 15) lost her mother and was seriously injured during the Beslan school siege. 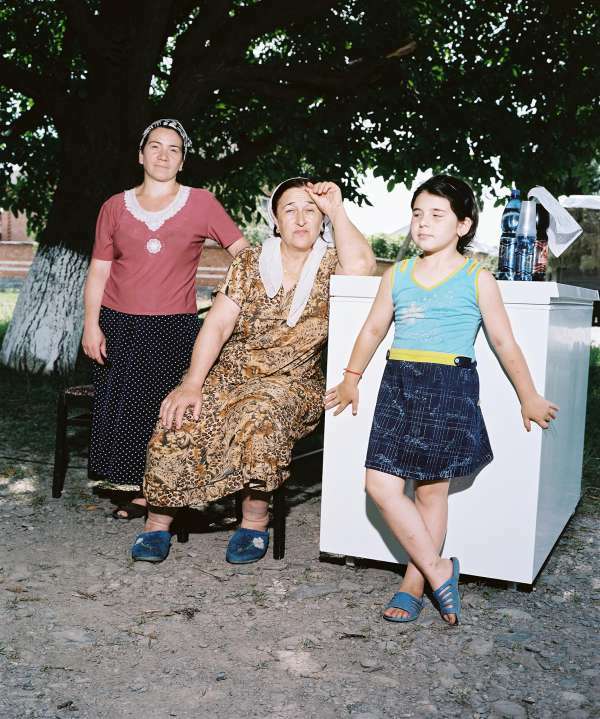 Khava next to the fridge from where she sells lemonade and water. 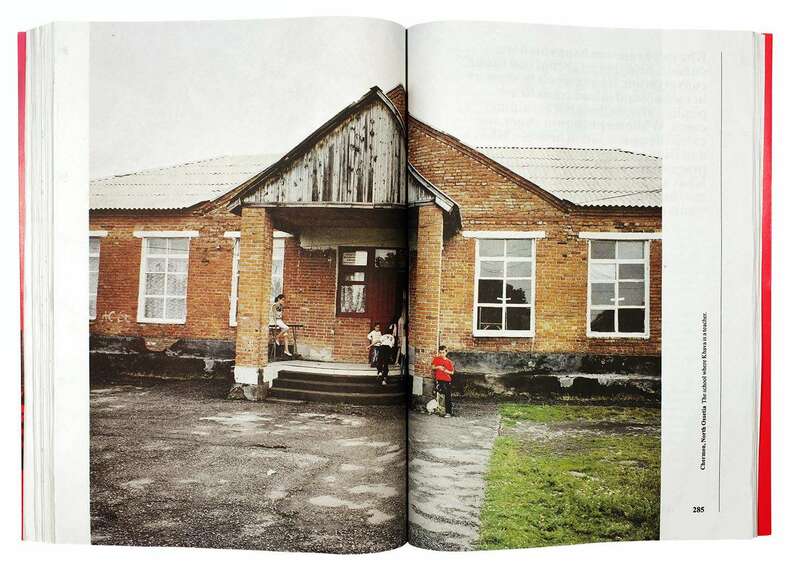 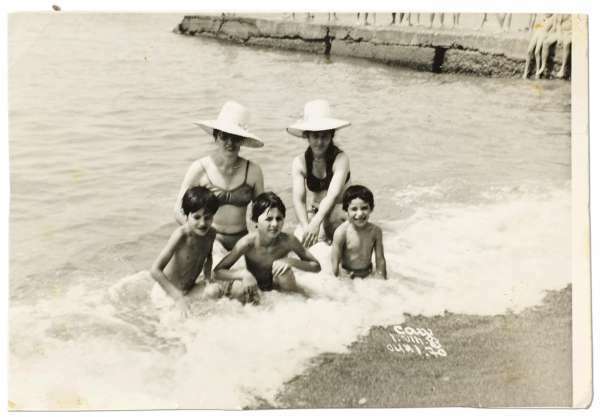 Khava on a school trip to Sochi with her class in 1983. 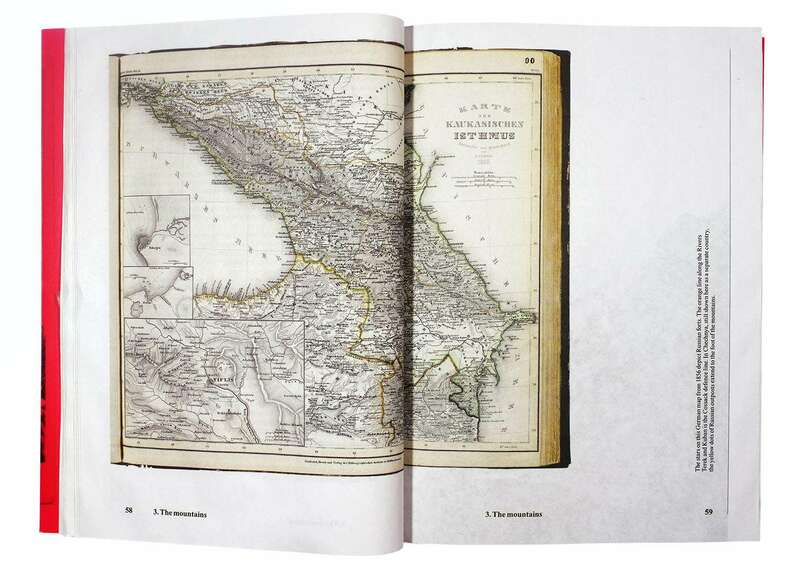 The North Caucasus is so incredibly complex that we initially got lost in the details. 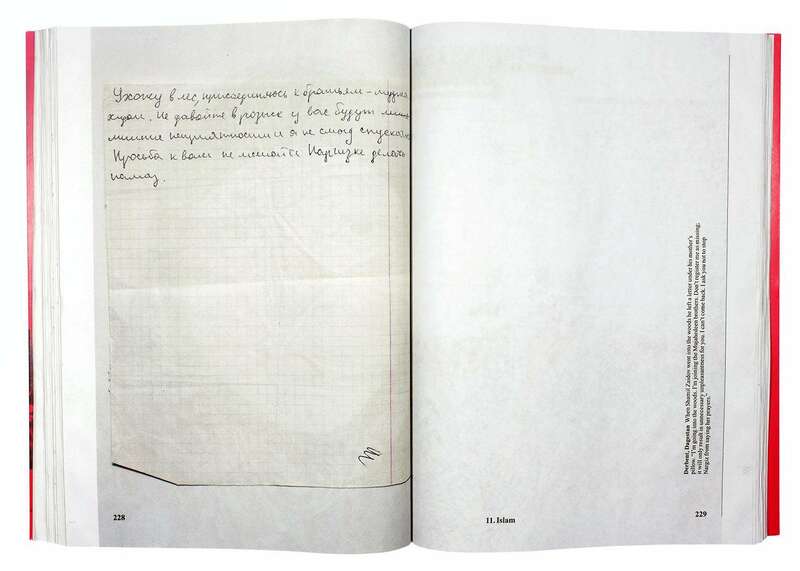 No other book took us so long to define. 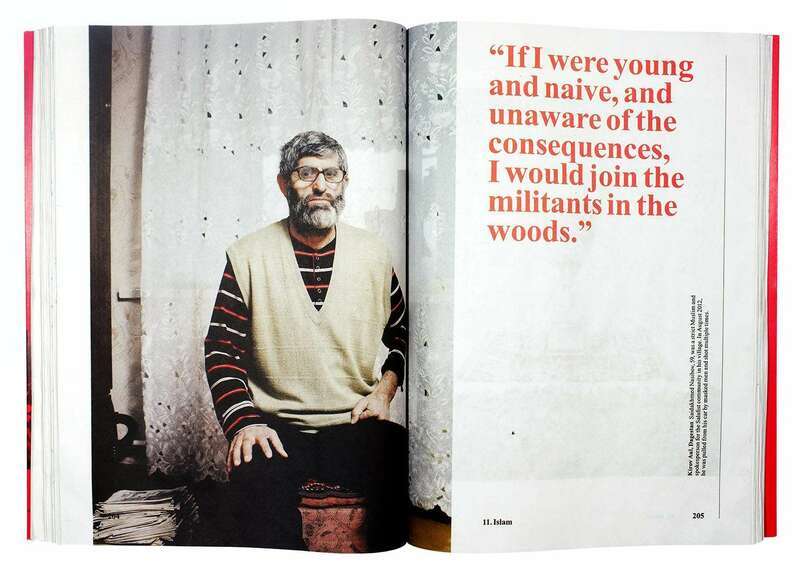 A history of violence was to be the overarching theme, but then we met Khava Gaisanova and decided to focus on a single character. 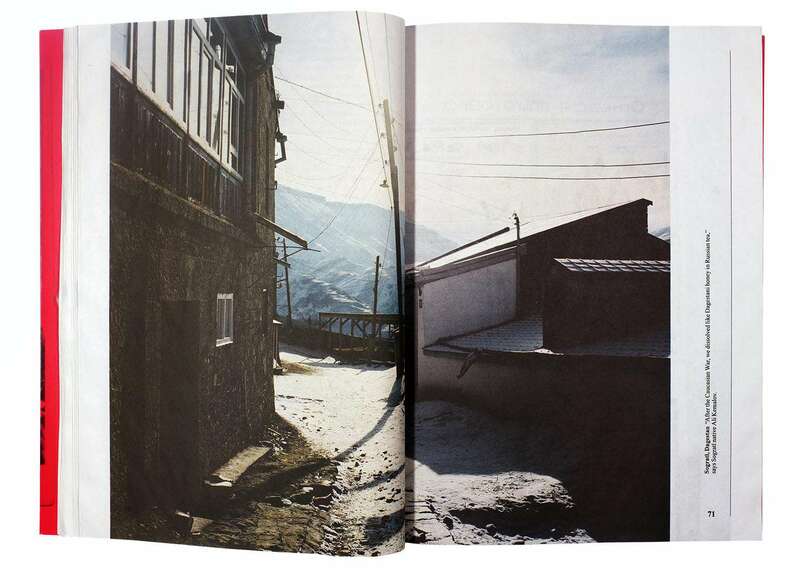 So many elements of the region seemed to come together in Khava’s story that we decided to use it as the basis for our book. 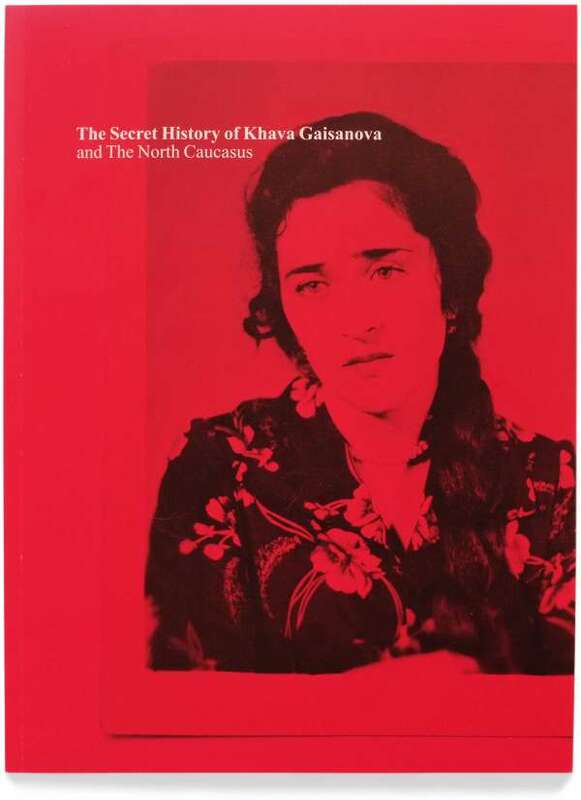 All even chapters are about events in the life history of Khava and her ancestors, while the uneven chapters place these family events in the larger perspective of the North Caucasus. 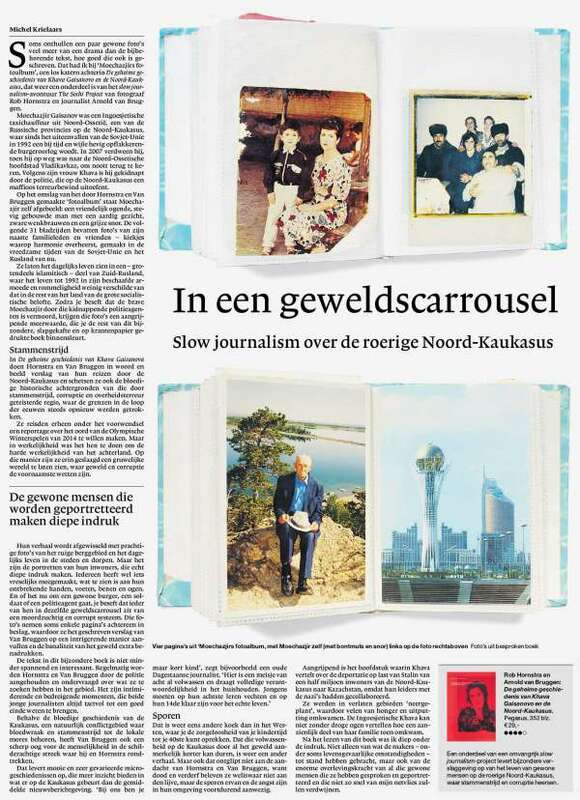 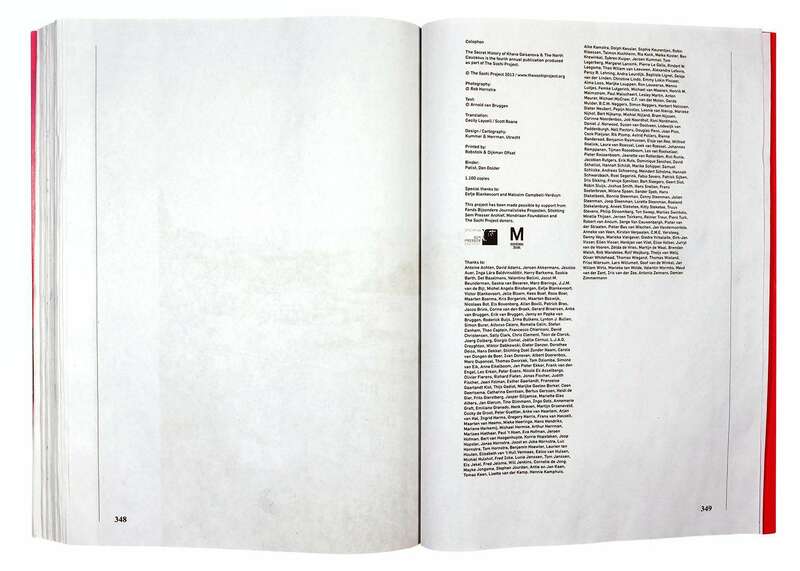 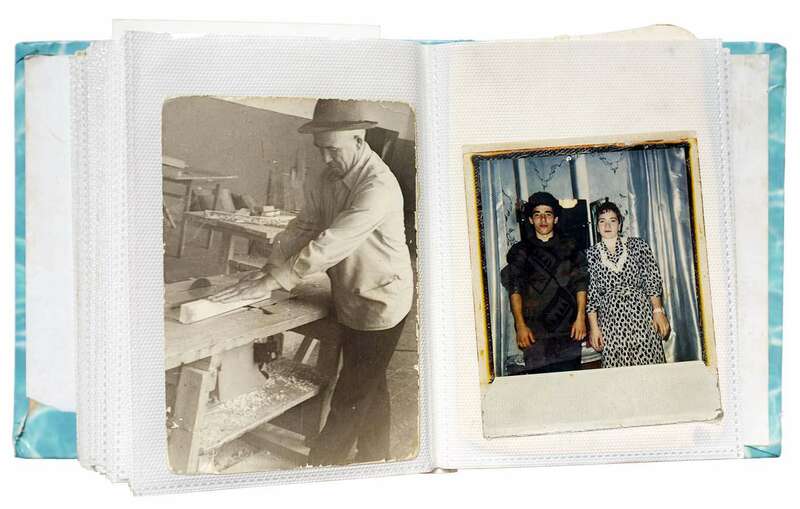 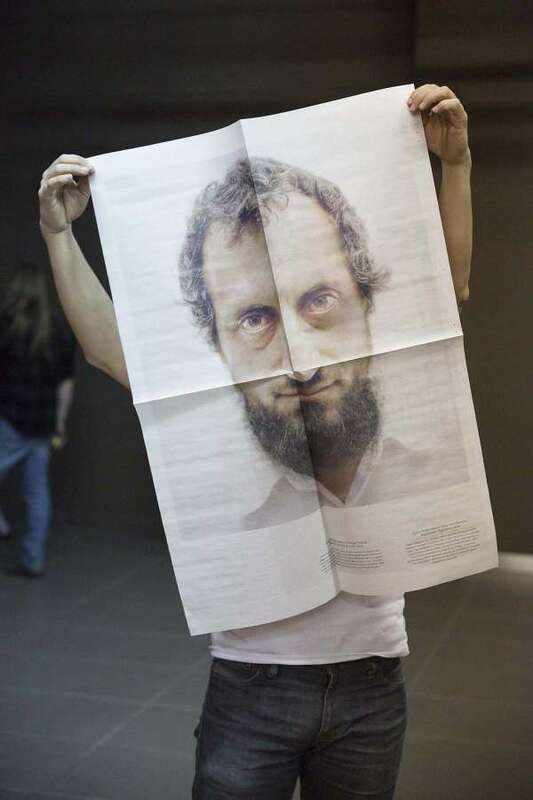 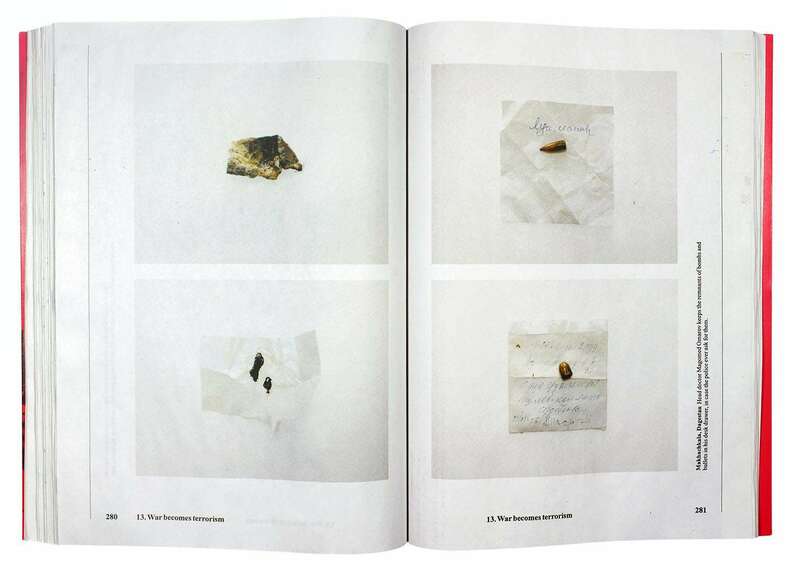 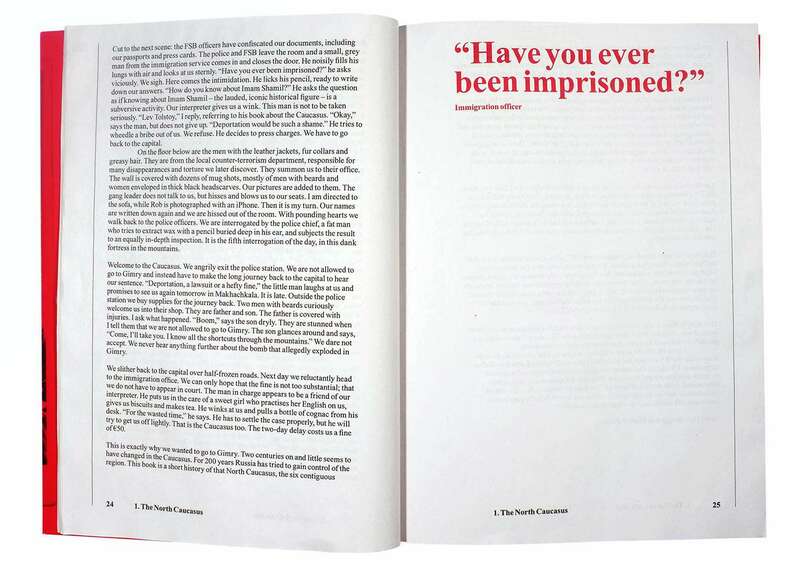 The book is printed on newsprint to emphasize the urgent character of the story. 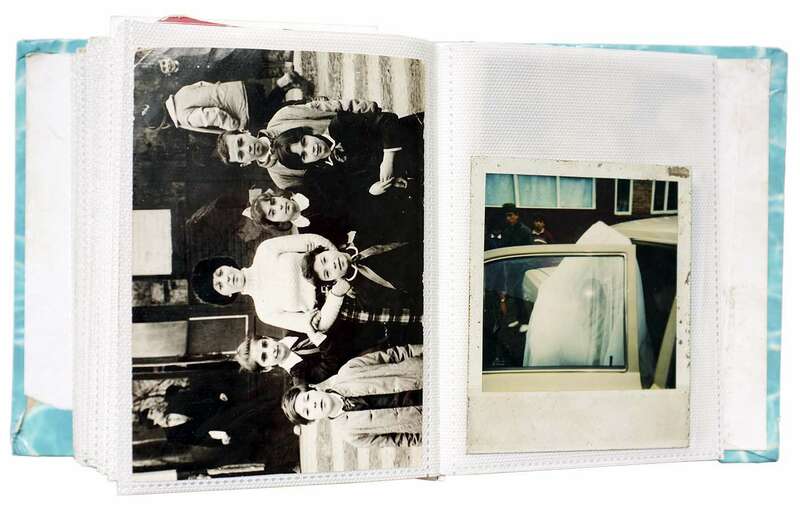 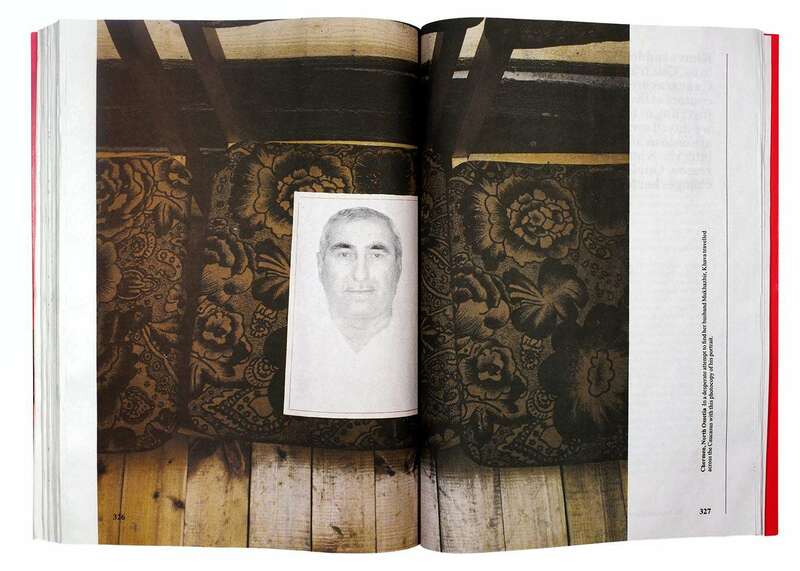 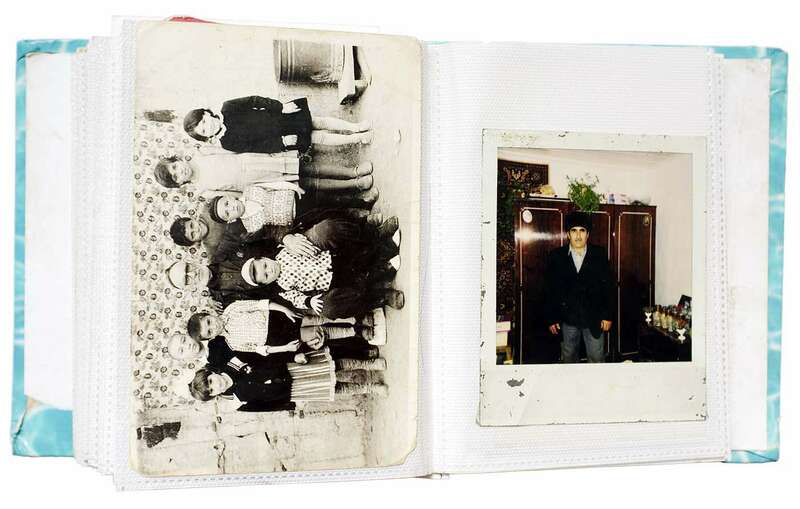 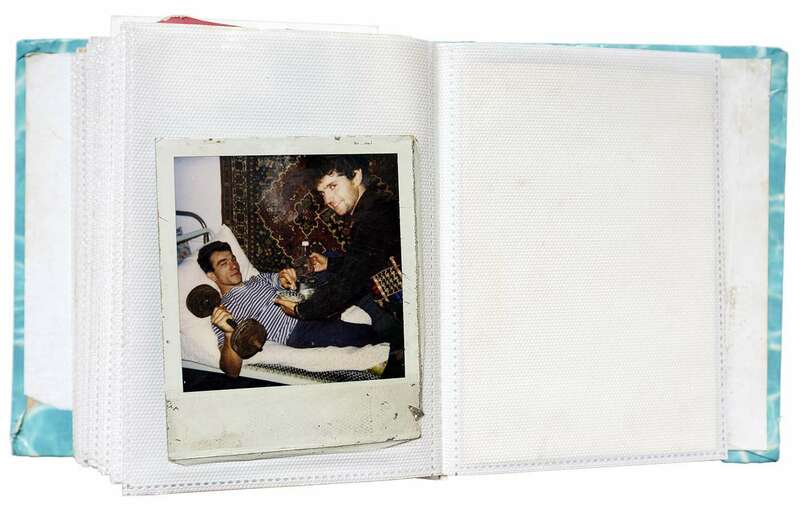 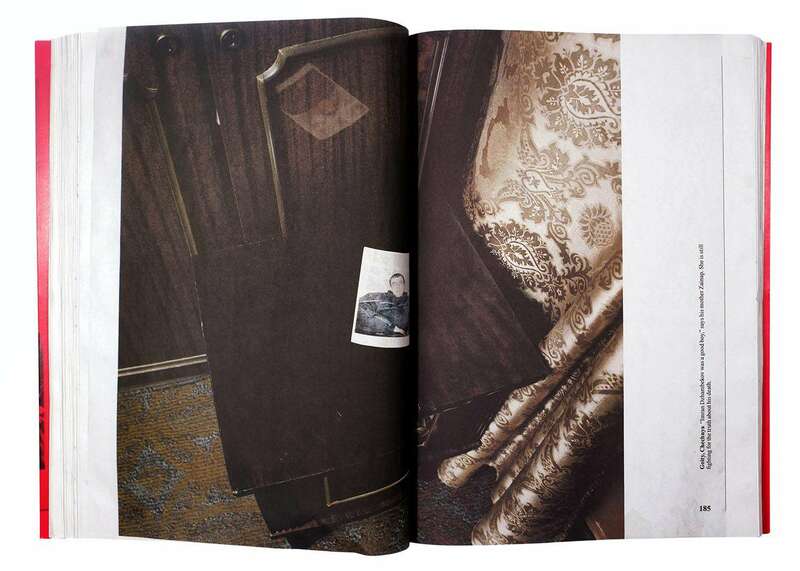 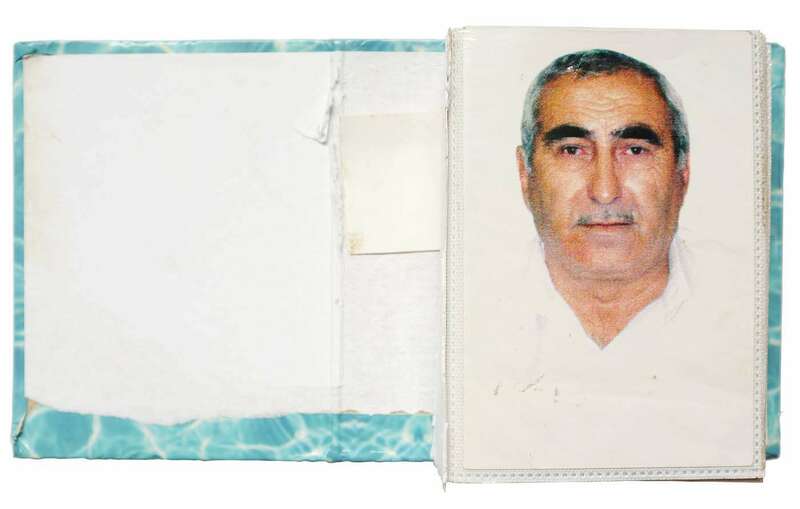 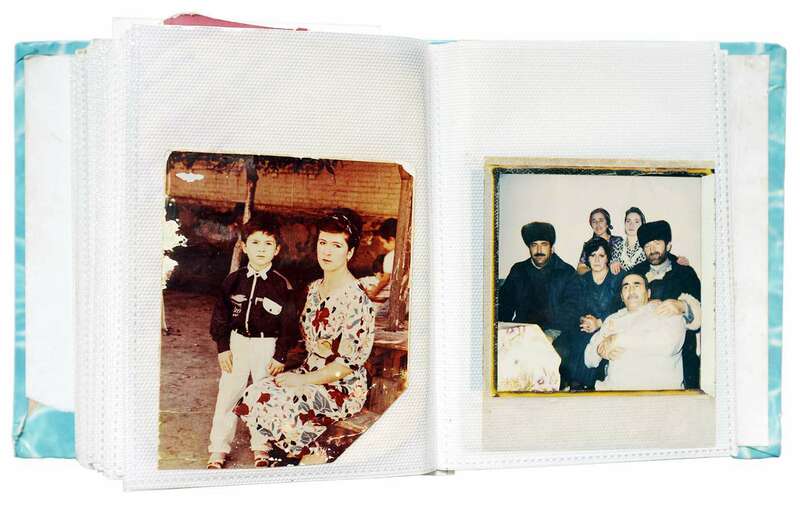 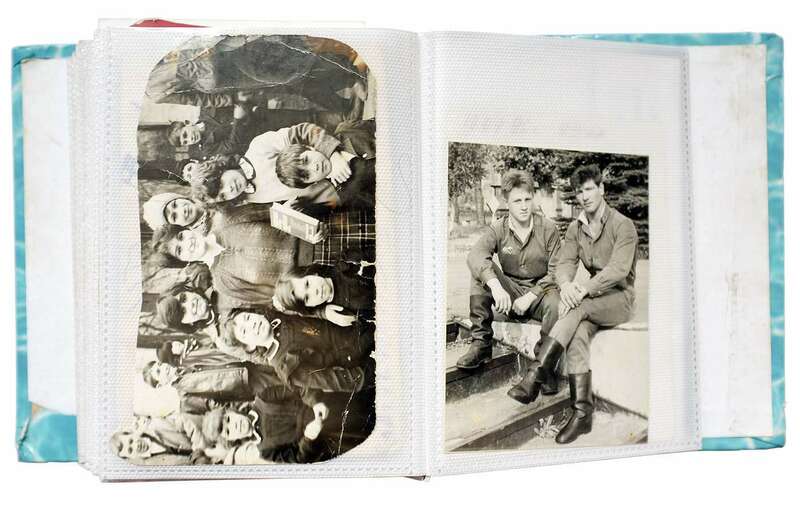 A reproduced photo album of the missing person Mukhazhir is concealed in the back of the book. 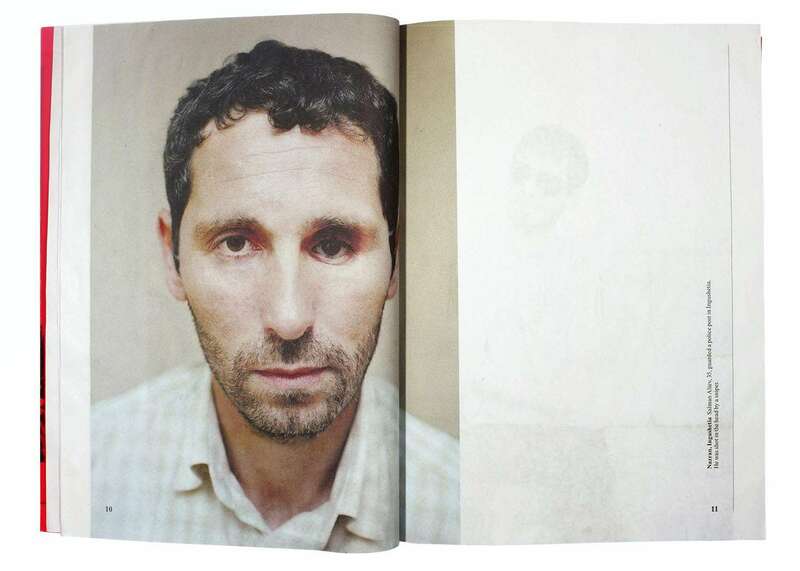 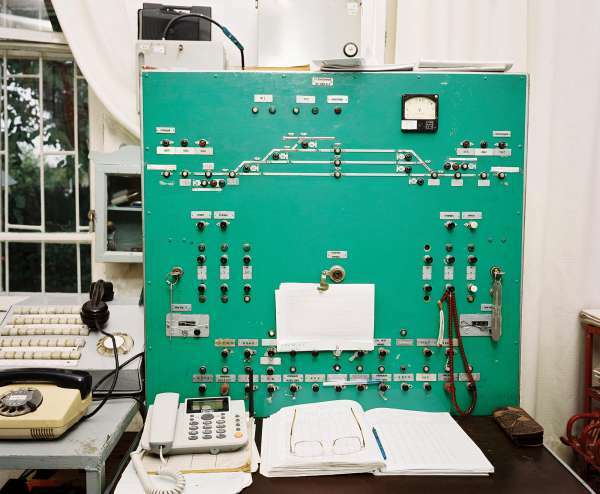 English and Dutch edition, softcover, 20 x 27 cm (7 7/8 x 10 5/8 in. 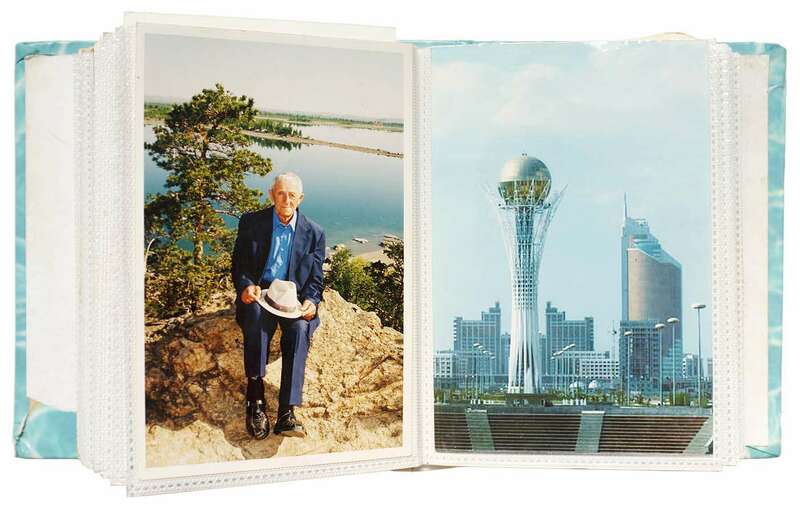 ), 352 pages and 32-page insert, 107 color photographs. 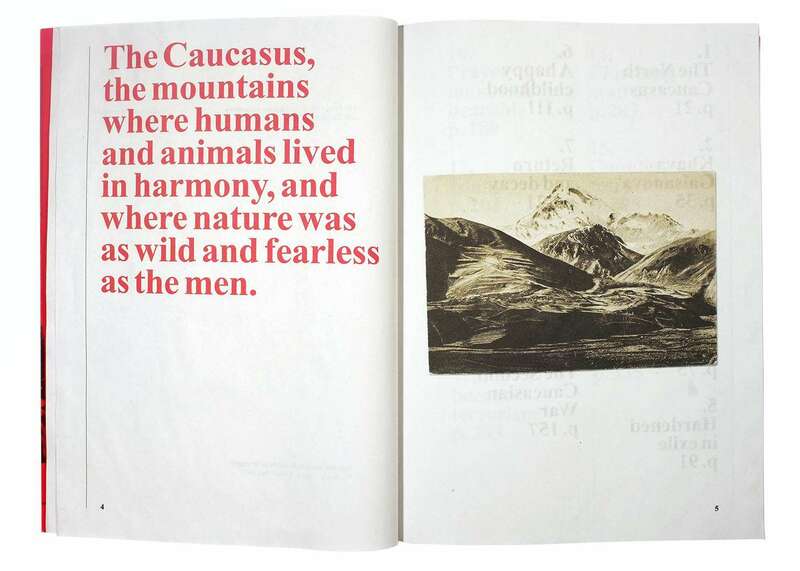 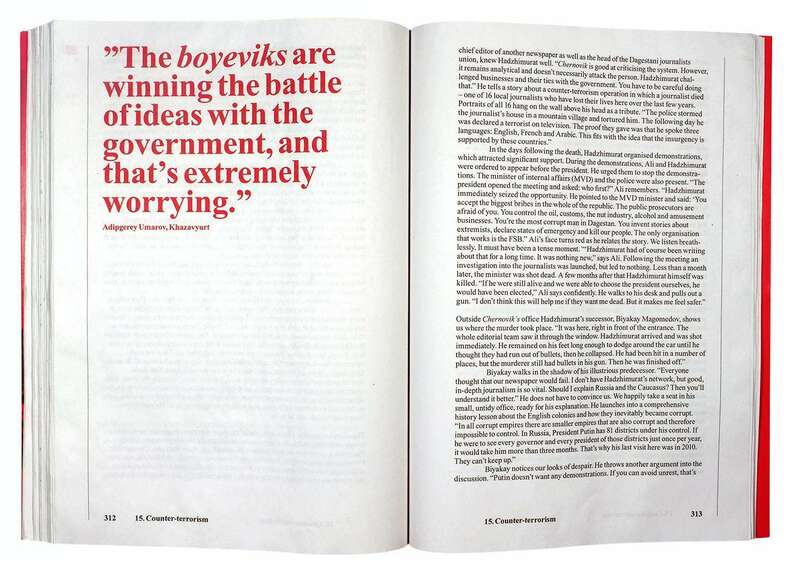 The release of The Secret History of Khava Gaisanova and the North Caucasus took place early 2013, right before the end of The Sochi Project. 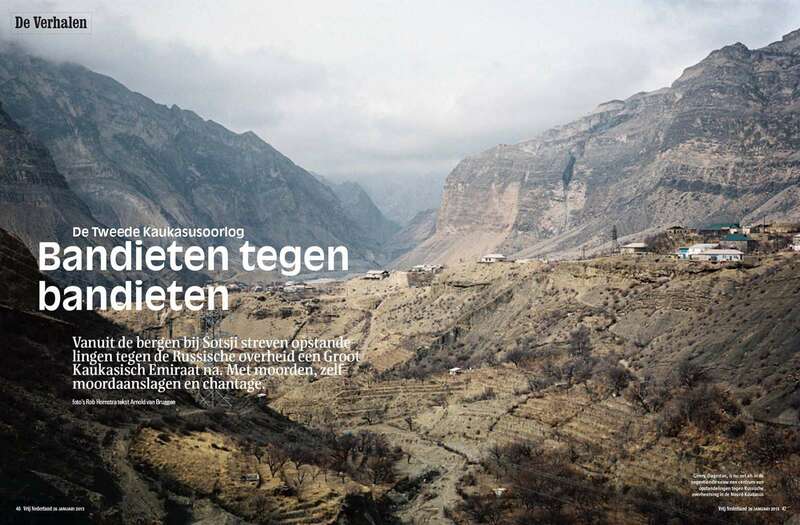 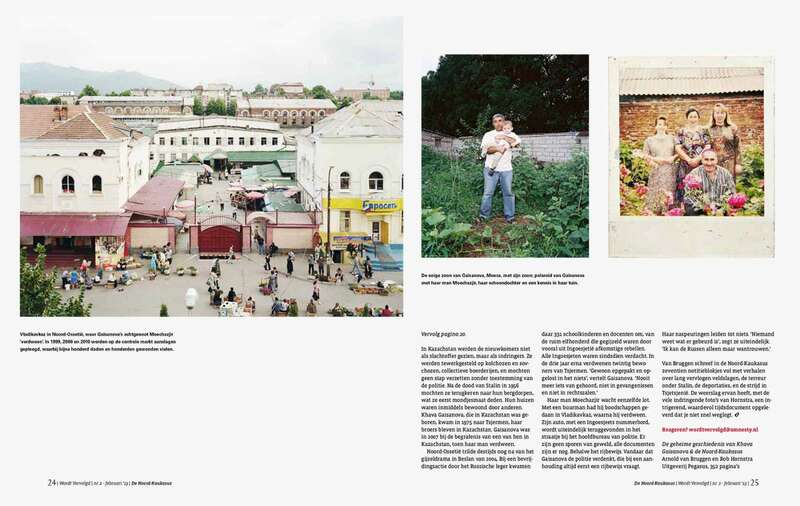 We decided to focus on the comprehensive final exhibition of The Sochi Project: An Atlas of War and Tourism in the Caucasus and not to a an own exhibition of this project. 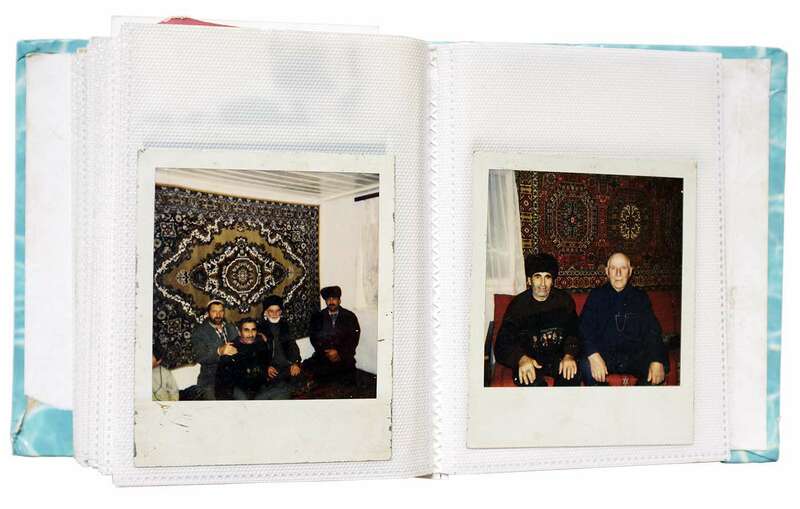 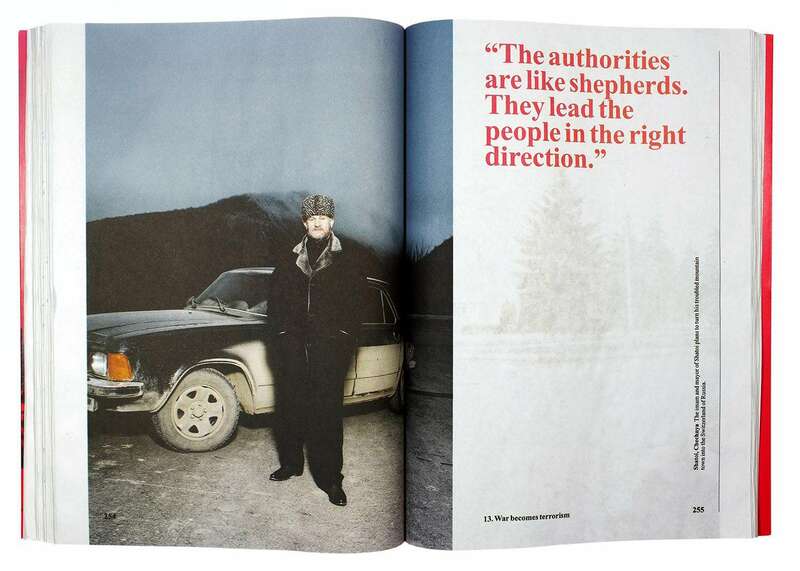 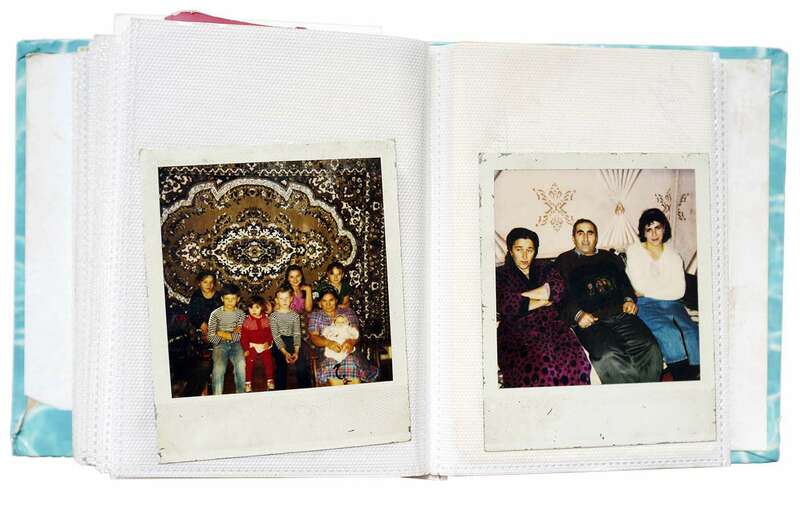 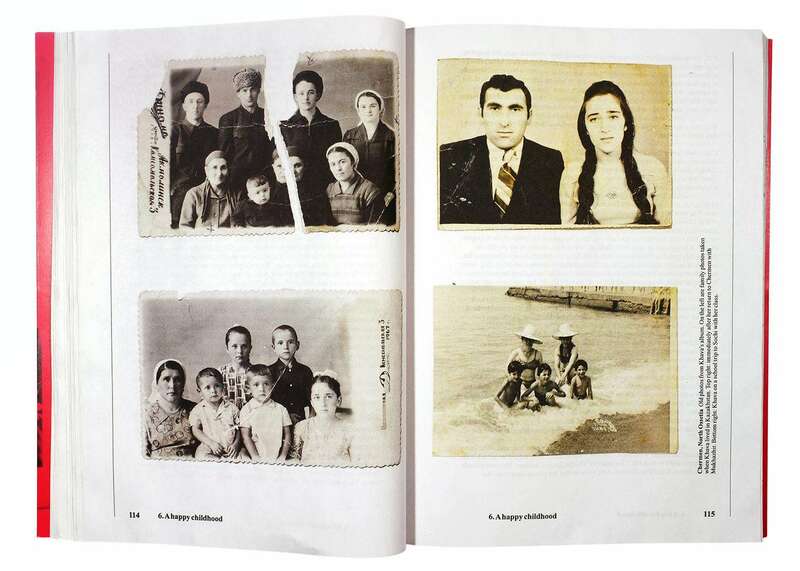 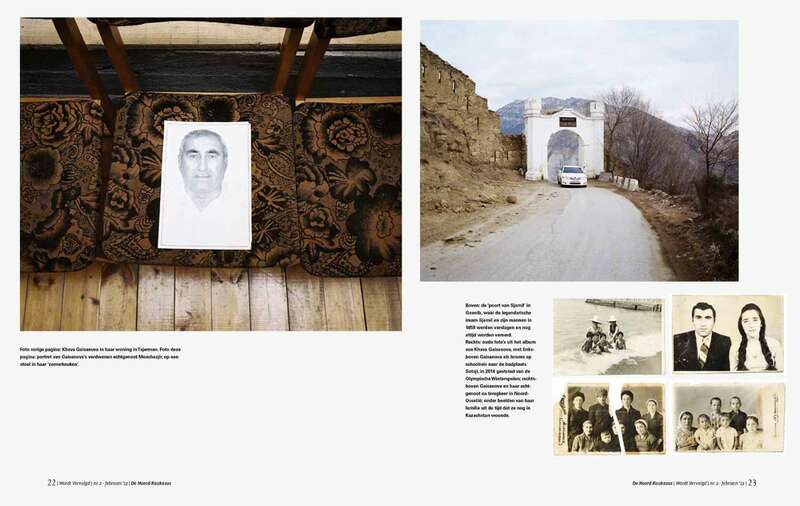 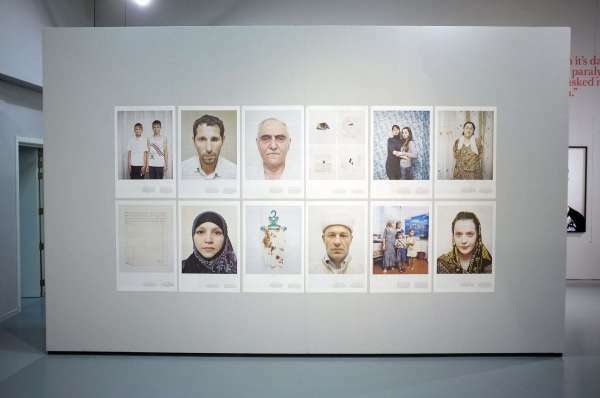 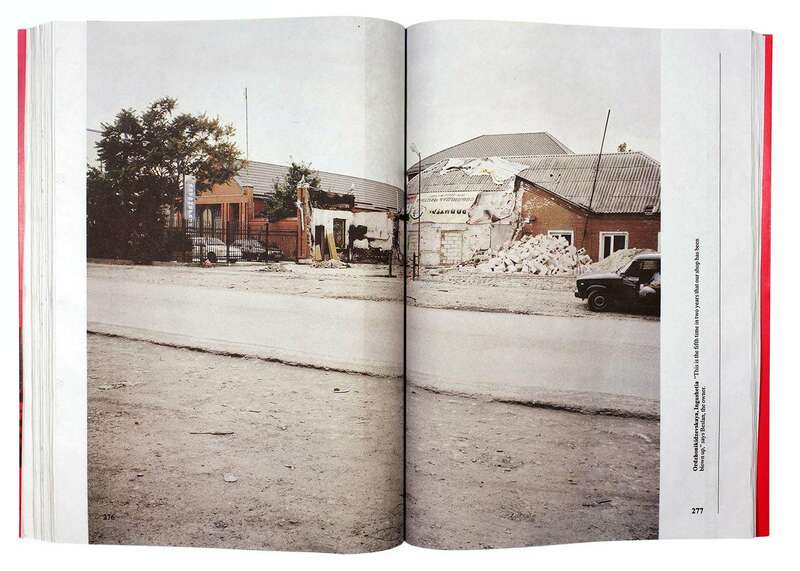 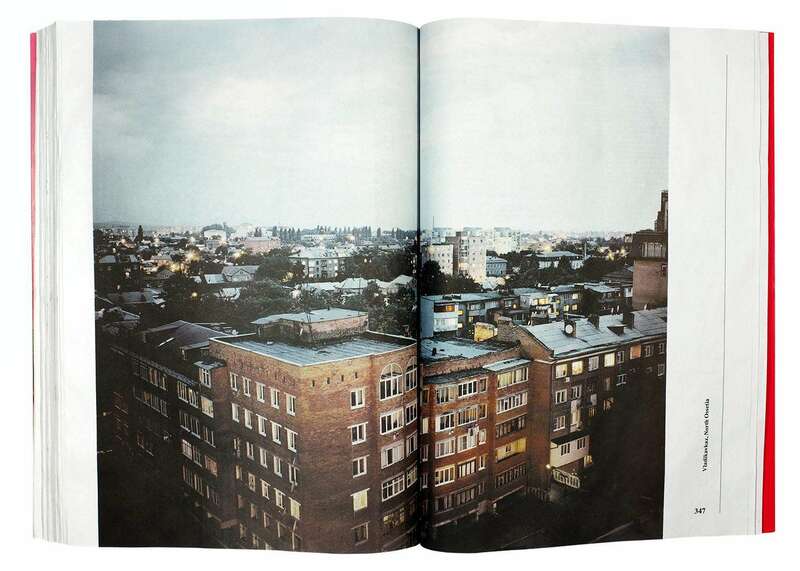 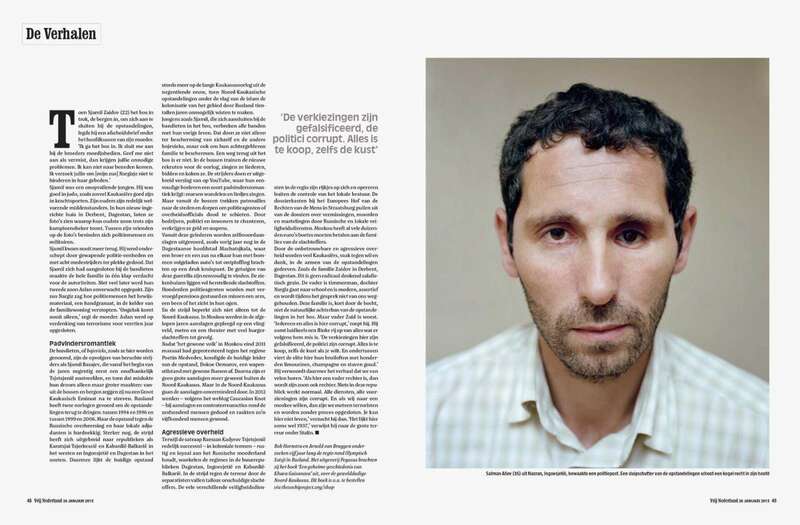 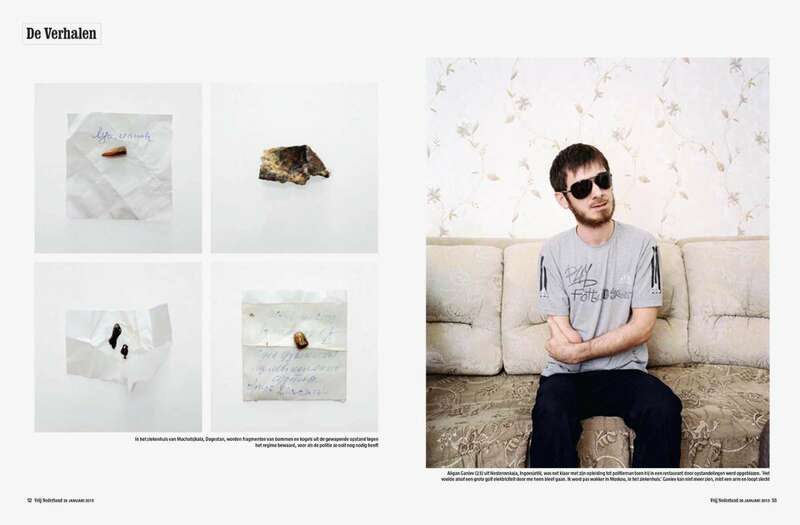 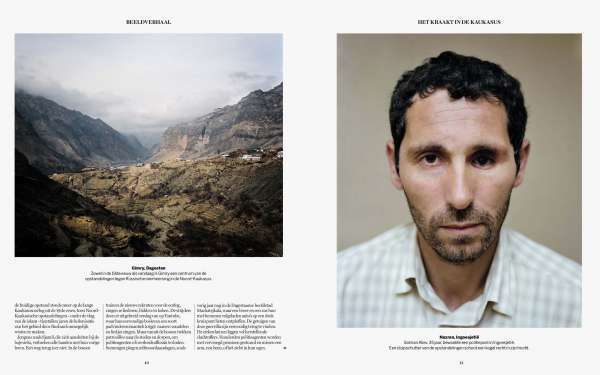 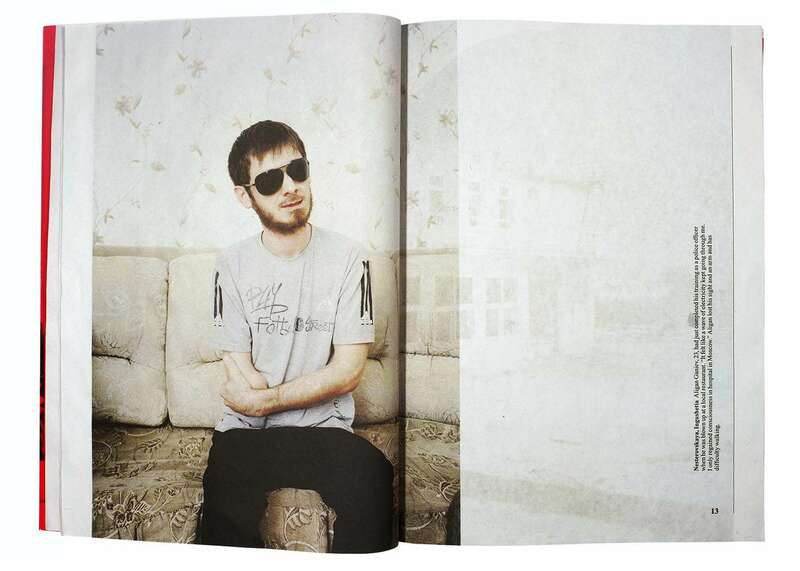 However, the chapter about the North Caucasus within The Sochi Project final exhibition can be seen as the representation of this story and may be used as a separate exhibition. 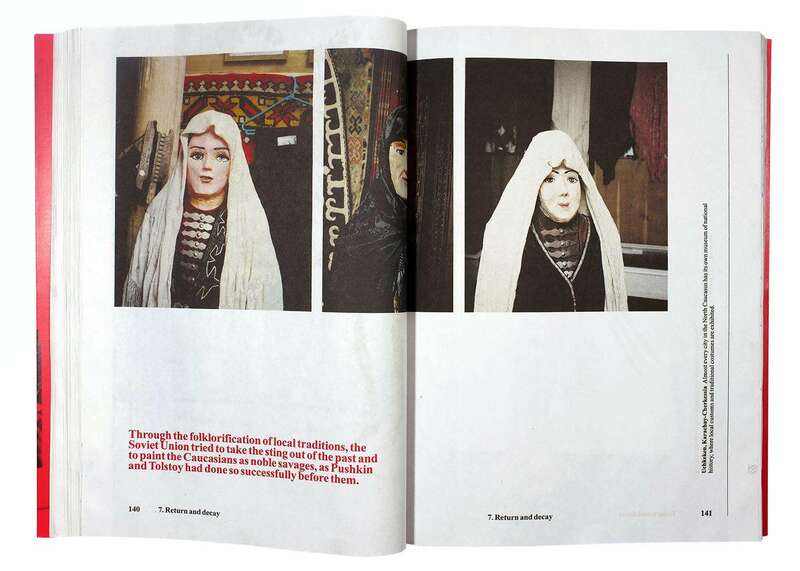 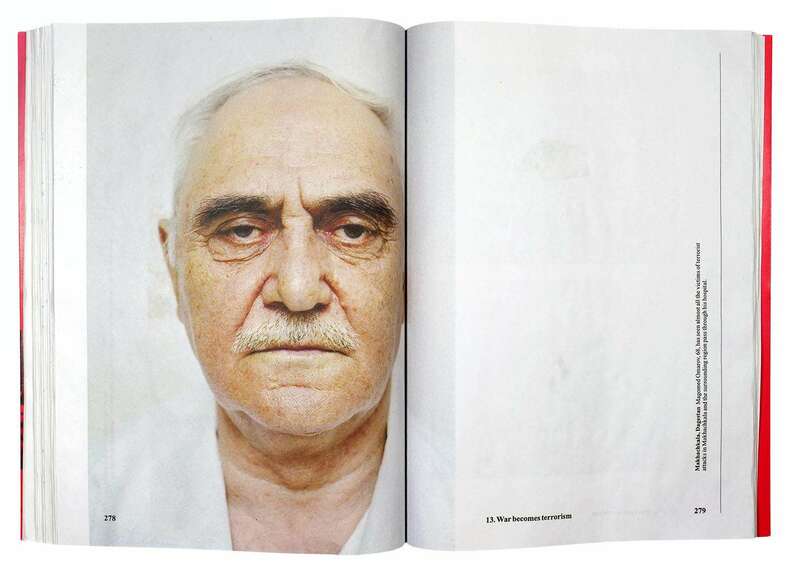 Like the final exhibition, broadsheet newsprint photos are intertwined with videos, wall texts, framed photos and the publication about the North Caucasus. 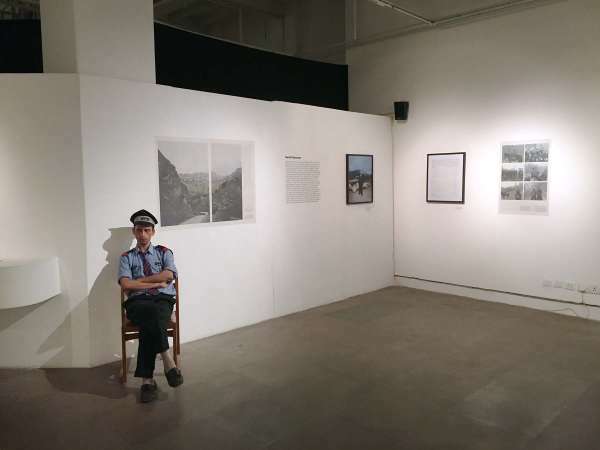 Required dimensions for this exhibition: 30 - 40 running meters of wall. 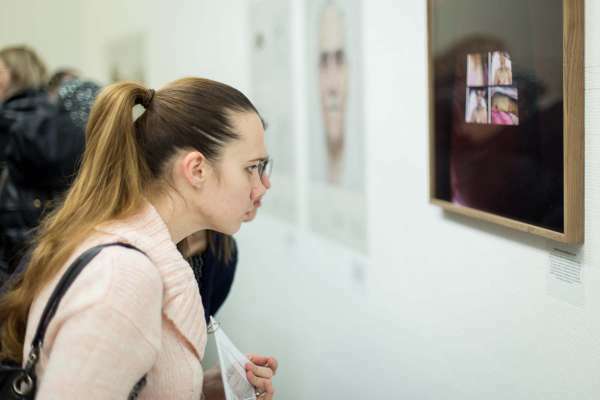 All exhibitions are custom designed and adapted to the interior of the hosting institution. 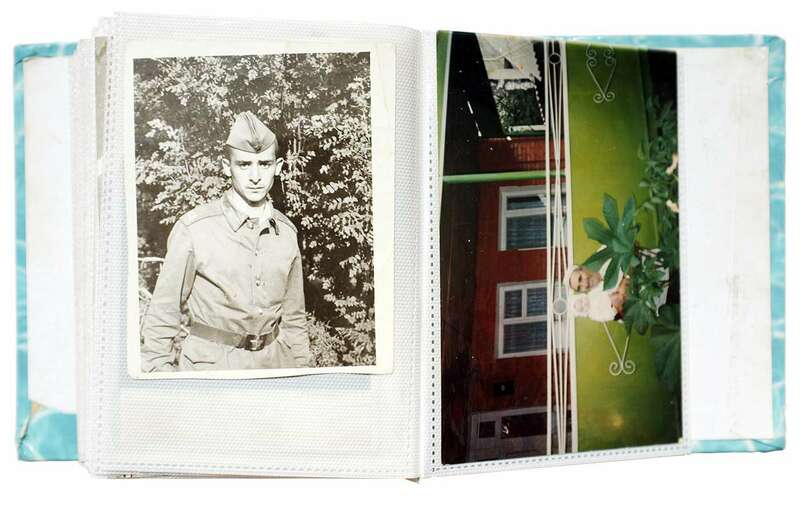 For more information and rental prizes, please contact studio@robhornstra.com. 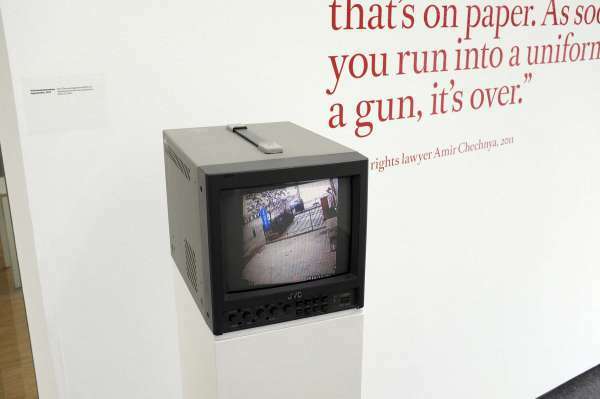 Video of the abduction of a boy by security forces accidentally recorded by security cameras in a car repair (included in exhibition).